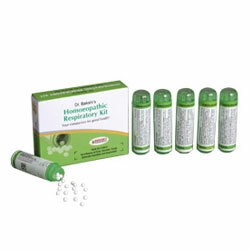 Bakson's Homoeopathic Respiratory Kit Treats Influenza & Fever, Sinusitis, Cough, Asthmatic Condition, Hoarseness. For Flu symptoms like fever, runny nose, sneezing and cough especially associated with Upper Respiratory Infections. For continuous/spasmodic/suffocative cough associated with Respiratory infections. For breathlessness and cough in Bronchitis & Asthma. For hoarseness due to overuse of voice or Throat infection. In acute/severe cases :4 pills every 2 hours, 6-8 times a day, may be taken.